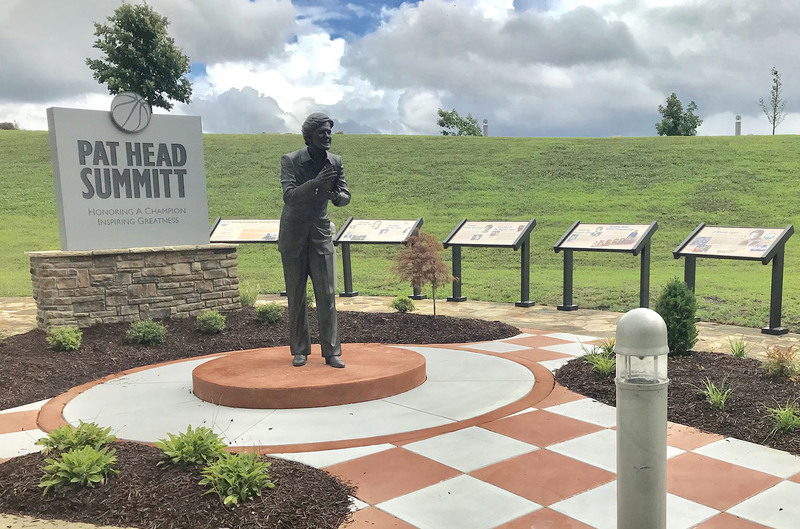 The focal point of the Plaza is a larger-than-life size bronze statue of the former University of Tennessee Lady Vols coach. Encircling the statue are six interpretive panels housed within Pannier’s Traditional T exhibit bases. 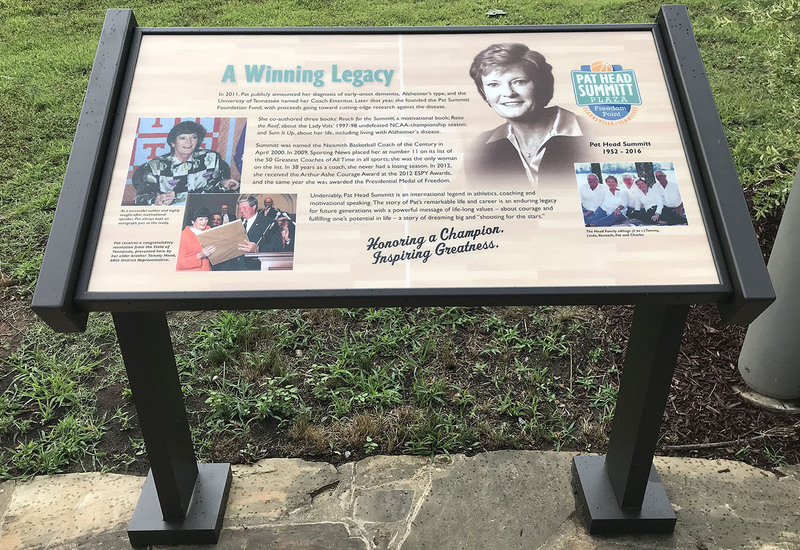 The life story of Summitt is depicted in four of the wayside exhibits. 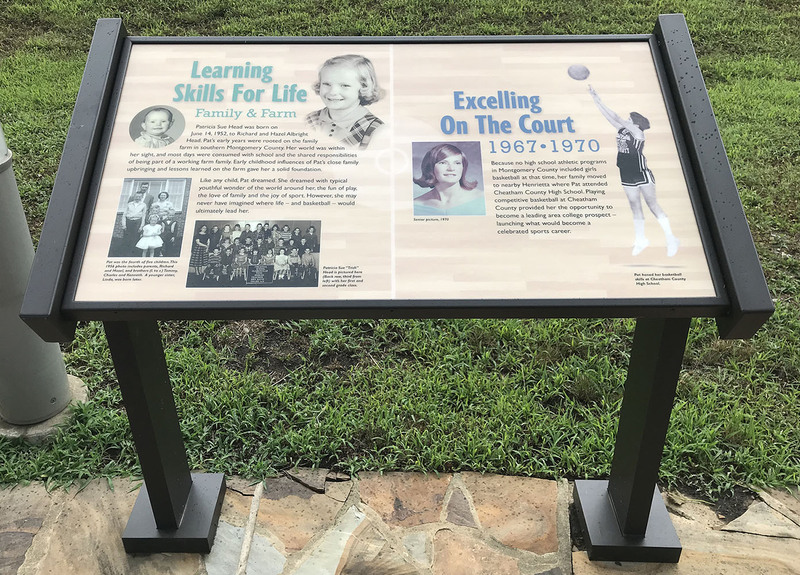 From childhood farm life to achieving Olympic Gold to winning eight NCAA National titles, visitors can expect to learn of each phase of her life; on and off the court. 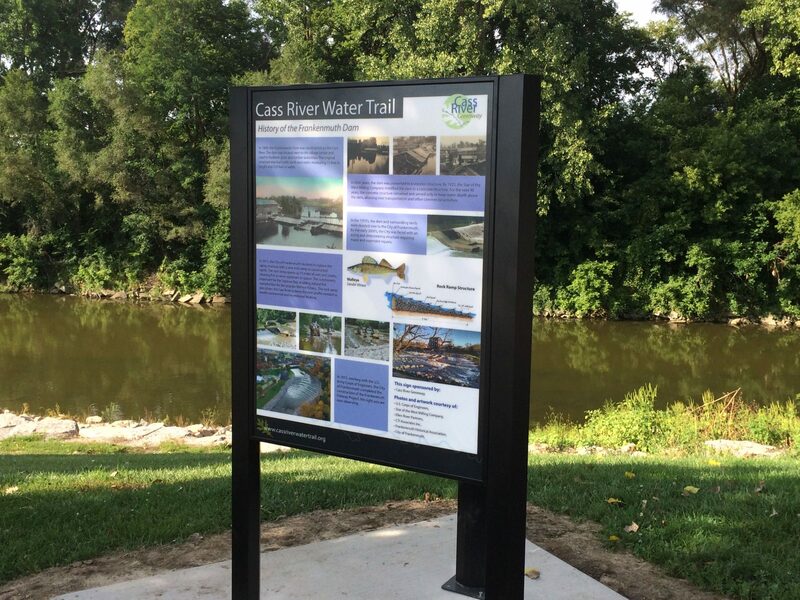 The remaining two graphic panels provide information about the sculpture and donors for the project. In total, 16 gifts of more than $10,000 each were given to help bring the Plaza to fruition; a true testament of the admiration and appreciation the community has for their hometown hero. 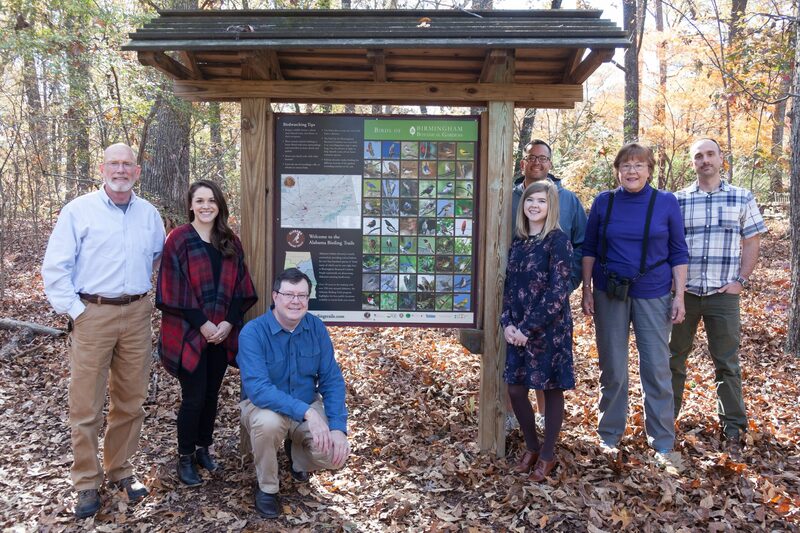 Thank you to the Pat Head Summitt Project Committee and BLF Marketing for including Pannier on such an impactful project!